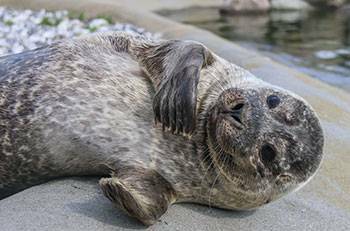 Nordsøen Oceanarium in Hirtshals is Scandinavia's largest aquarium and provides you with interesting adventures under the surface of the sea. 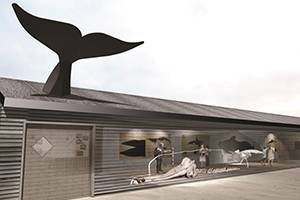 The oceanarium disposes of a 10,000 m2 outdoor area, a 5,000 m2 indoor area, 75 aquariums and more than 7,500 fish and other marine animals. Here you can spend a day, filled with experiments in the wet element. With its 4.5 million litres of sea water and thousands of fish and marine animals, Oceanariet is an experience in itself. 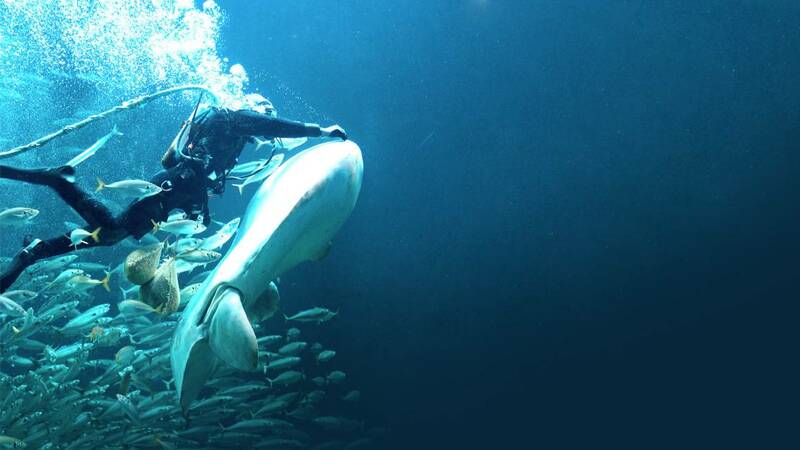 During the daily feeds a diver jumps into the water and guides the guests around in the gigantic aquarium. In the outdoor area you will find a unique and challenging playgrounds, where you can climb, slide, soar, search for amber and try being on the rolling sea, onboard the ship Skip o'Hoy. What is the purpose of a jellyfish? Go on adventure through the food chain of the North Sea, where you will meet everything from the smallest plankton to the largest predators. In the new aquariums you can experience the beauty of the jellyfish and learn more about their place in food chain. 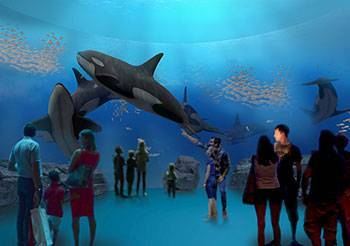 The unique design of the new large aquariums, which are built over 2 stories, provide you with a quite special sense experience. 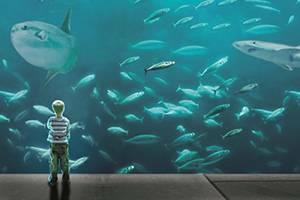 The impressive BIG OCEAN WINDOW, Denmark's largest interactive screen, is part of the new exhibition. Come along on an underwater journey, see big whales, dangerous sharks or gigantic fish shoals - right in front of you, and learn more about the place of each animal in the food chain. In the cabin Hvalforskerhytten you can explore the interesting world of the whale researcher. See skeletons from more species of whales, e.g. the giant skeleton of the fin wale, which beached in the holiday town Blokhus. You can come close to the seals in the large outdoor facility, where they are fed and trained twice daily. In the 12 m long underwater tunnel you can follow the elegant and fast movements of the seals under the water. In the restaurants you can order tasty fish dishes with local fish and shellfish of the season. The shop Pakhuset tempts with souvenirs, presents, books etc.